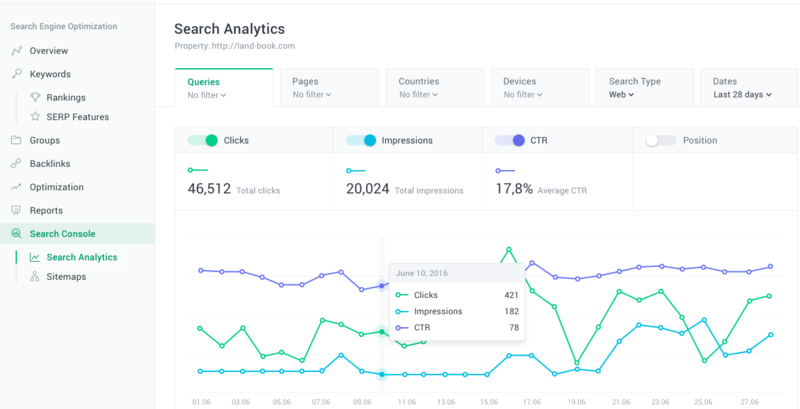 Google Search Console integration for Unamo's SEO platform. With Unamo SEO it's possible to integrate your Google Search Console properties with your Campaign and get GSC data storage for up to 2 years. The integration allows you to keep all relevant SEO data on one platform to expedite your analytics and decision making processes. The integration will pull all your data from GSC, giving you the ability to mix and match your data over longer periods of time within Unamo SEO. A familiar interface and user experience straight from the original Search Console but with a more user-friendly design. The ability to view ALL your data from Search Console. GSC limits the amount of information you can see. Unamo's GSC integration will extract all your data so that there are no holes in your analytical process. Up to 2 years of Search Analytics data storage vs. Google's 3 month limit. 2 years of Sitemap storage vs. Google's 1 month limit. The ability to filter and aggregate the data anyway you like. Unamo gives you anywhere from 1 to 720 days of data visualizations. The ability to add queries from GSC as keywords to your Unamo SEO campaign. To integrate Search Console with your Unamo account, please contact our sales team at sales@unamo.com.